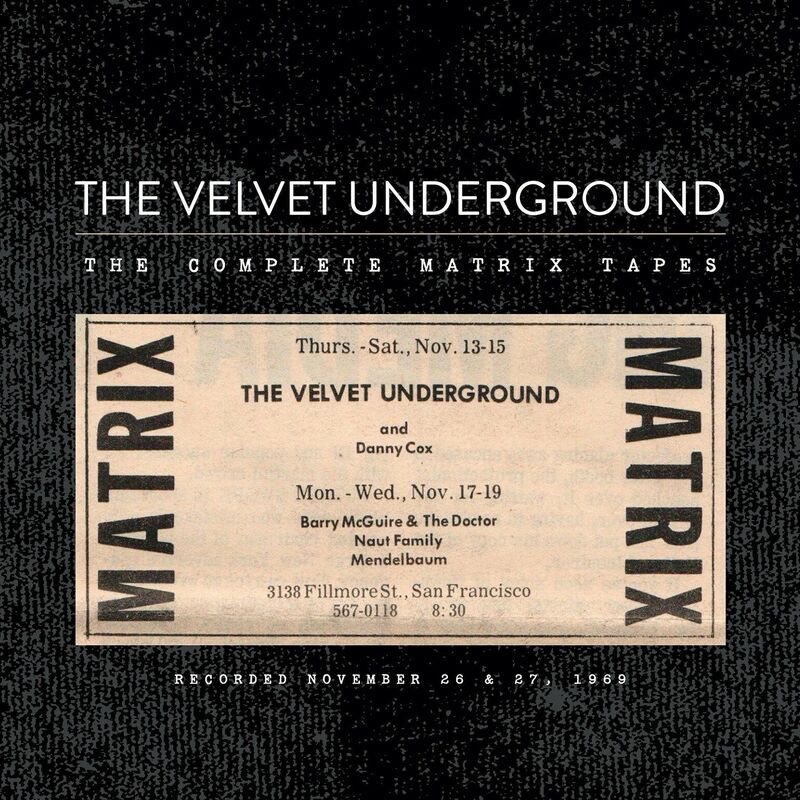 Dean Wareham has a piece on Salon today writing about the recently released The Velvet Underground live box set "The Complete Matrix Tapes" and some reminiscences on his introduction to the band. "Live '69" was my favorite record for quiet Friday afternoons with my girlfriend (OK, we also listened to Gloria Gaynor and the Bee Gees and "Just the Way You Are" by Billy Joel). My girlfriend was two years older than me, had hung out at Studio 54, and had actually met Lou Reed at Max's Kansas City. This confused me, because in my ignorance I didn't understand why she would have been in Kansas at all. Dean Wareham - "We're your local Velvet Underground": This season's one essential box set is the "Complete Matrix Tapes"
There is a lot of music here. Highlights include a rousing and never-before-heard version of "Sweet Jane" at its original slow tempo, with Reed a singing couple of alternate verses that he later abandoned; the seldom-played "Venus in Furs"; three beautiful takes of "Some Kinda Love" and three of "Over You," one of them markedly slower. As a band you are always searching for the perfect tempo but this illustrates that there is more than one way to play the song well.